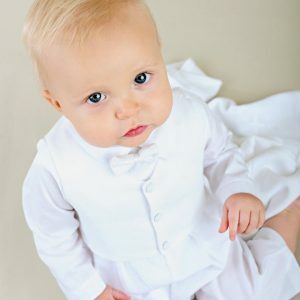 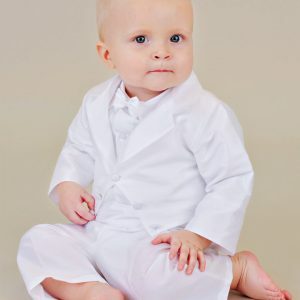 Cotton sateen short sleeve boys coverall outfit with pleated and pin tucked front. 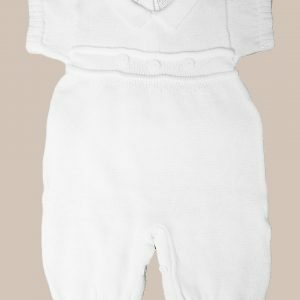 This handsome onesie features a collared neckline, pin tucked front with button accents, and a matching captain style hat. 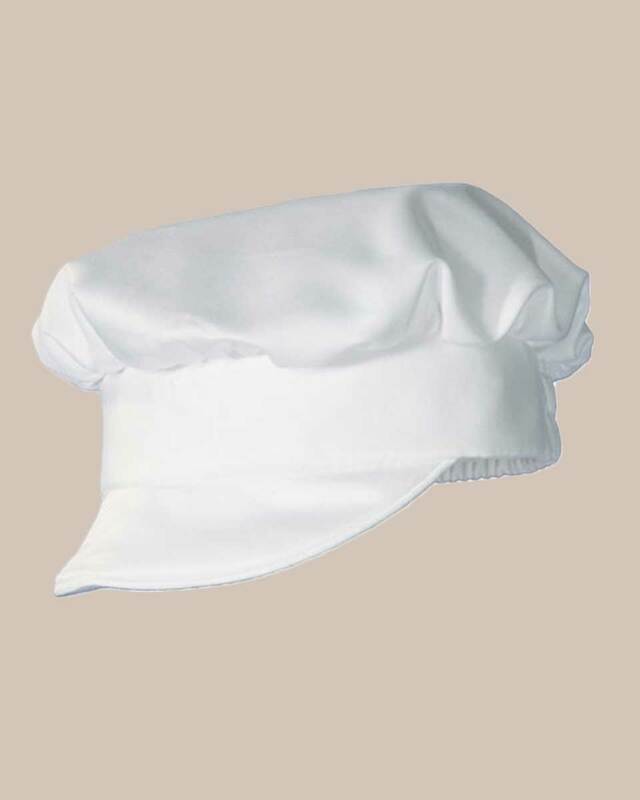 100% Cotton Sateen. 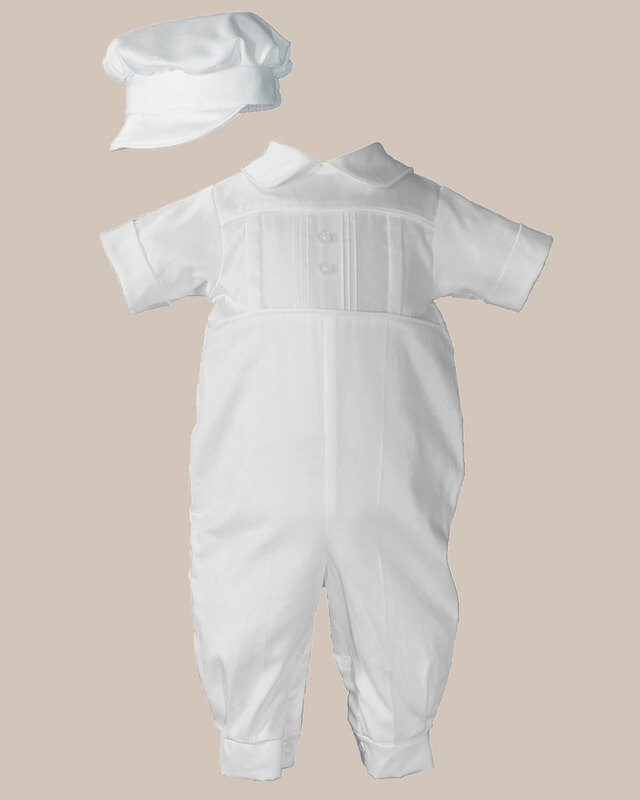 Hand wash.
Cotton sateen short sleeve boys coverall outfit with pleated and pin tucked front.